Sourced from the Indonesian island of Sumatra, our Sumatra Red Vein Kratom is a classic strain enjoyed by Kratom enthusiasts. Like all of our Kratom, this ultra-fine powder is sourced responsibly from leading Kratom farmers throughout Southeast Asia under fair-trade policies. This popular red vein strain is all-natural, and contains no additives, chemicals, or other fillers. Choose from 1oz, 2oz, 4oz, 8oz, and 16oz quantities, always shipped in airtight and resealable packages to deliver the freshest possible product. 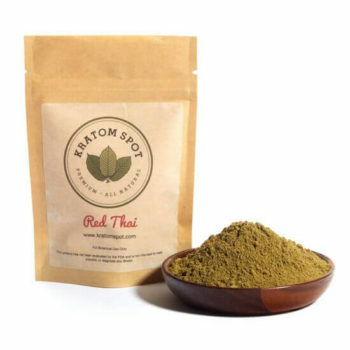 Kratom has been enjoyed around the world for centuries, and this Sumatra Red Vein Kratom powder is no exception. As part of our commitment to providing our customers with a consistent and high-quality product, we are always available to take your questions. Simply send our customer service team a message online. We also offer same-day shipping on orders placed before 3:00 PM PST and free shipping on all orders over $100. What are you waiting for? Place your order online today!